The decades of the sixties and seventies planted for many people the seeds of a spiritual quest for greater awareness and an understanding of the meaning of life. I was one of those caught up by this awakening and, in 1969, left my Midwestern roots and went to California. 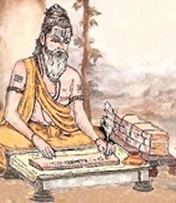 There I discovered a new lifestyle - practicing yoga, meditating, reading philosophy and becoming a vegetarian. In the seventies, Los Angeles was a bastion of spirituality and the Hindu concepts of karma and reincarnation were taught everywhere. I accepted these beliefs without question, until one day my at a psychic reading I experienced something that compelled me to begin to wonder. The reading occurred shortly after a move north to Santa Cruz, a mecca of consciousness on the Monterey Bay, south of San Francisco. One fine afternoon, at a New Age fair in the city's central park, to my surprise, I heard my number called for a raffle prize. I had won a three-hour psychic reading, compliments of the Berkeley Psychic Institute, which had a chapter in Santa Cruz at the time. I was not particularly thrilled because, never having a psychic reading before, I thought this was nothing more than fortune telling, and I certainly was not interested in someone telling me my future in case they were wrong. Nevertheless, I booked the reading, thinking there may have been some spiritual reason why I had won it. Upon my arrival at the Institute, I was escorted to an upstairs room where, to my surprise, I was introduced to the three psychics, who were to do my reading. They seated themselves in a row, and told me to take the chair in front of them and try not to be nervous. The first hour was filled with interesting and, I might add, accurate information about my life. The second hour offered me useful insights into what my future may hold, and the final hour was to be dedicated to revealing my past lives. The psychics began by telling me that I was an old soul who had had many lives. The first one was that of an ancient Hebrew, and during this life I had made a pact with God and had died in his service. Since I was born into a Jewish family, this fit nicely and, admittedly, I liked it very much, because it made me feel important. It also seemed to be a possible explanation for my burning desire to become spiritual. 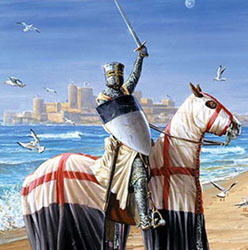 The next life the psychics gave me was that of a crusader who had died in the Crusades fighting to free the Holy Land from the Infidel. From there, I was told that I had been a Frenchman who was robbed and murdered on a road to Paris; and following that life, they said I had been a World War I soldier killed in the trenches of France. Then, all of a sudden my legs began to vibrate, then my arms, then my entire body, and, as the psychics continued giving me past lives, the vibration intensified until it became uncontrollable. I didn't know what was happening, I thought this must be my kundalini rising. Then suddenly, the door of the room swung open and the director of the school (a large woman) burst in, followed by her assistant and in a huff she exclaimed, "What are all these spirits doing in the room? Get them out of here!" and she began ordering the psychics about saying, "Everyone stand up. You, move the chairs. You, open the windows. This reading is over!" Well, as one can imagine, I was bewildered as well as disappointed that my reading had ended so abruptly. I thought that if it had gone on to its conclusion I could have risen out of the chair. On my way home I couldn't stop thinking about what had happened and wondering what it was all about; and, most importantly, why was the director of the school was so upset that the room was filled with spirits, after all, isn't that what is supposed to happen at a psychic centre? Perhaps, I had exceeded the limit and had too many spirits, who became disruptive and attracted the director’s attention from the floor below. As the weeks passed, I was tormented, trying to figure out what had happened. Then, out of nowhere, the answers seemed to pop into my head. I knew that the director had been right that the room was filled with spirits and, moreover, they were hovering around me during the reading. And, it was the power of their combined aura fields that had the energy to vibrate my body. It also became clear to me that the psychics were indeed skilled in their craft and were able to read the identities of the spirits in the room and, in particular, their last experience on Earth - their death; but, I somehow knew with a strange certainty that the psychics were mistaken when they told me that the lives they were reading were my past lives when in reality they were the lives of the spirits in the room. 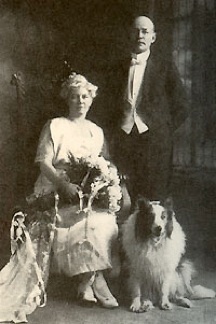 their beliefs were based upon the spirit communications of the Washington, D.C. lawyer James E. Padgett, who became an automatic writing medium in 1914, shortly after his wife passing. As I began to read Padgett's writings, they seemed reasonable and logical, and I was resonating with them until one day I came to a message from an ancient Hindu spirit named Lamlestia that took me by surprise. He said, "I believed that reincarnation was a process of purification that was necessary in order for a spirit to attain a state of purification and perfection and arrive at the blissful state of Nirvana. In all the years of my spirit existence, I had not known of a spirit to reincarnate and, in this, my disappointment had been grievous. Karma exists in the spirit world, and many spirits of my association have become pure and perfected spirits through renunciation; yet, they have remained spirits and have progressed to the highest realms without taking another body. When comparing the most advanced mortals in mind and soul condition, they are not equal to us in development. This makes me wonder what improvement could be made in our condition for us to progress, should we enter into another mortal body. Yet strangely, we cling to our old belief in reincarnation and congregate together, waiting for something that must happen in order for reincarnation to become the destiny of our souls." I never had a past life experience to cause me to be a firm believer in reincarnation, but since all my friends believed in it I just went along. Besides, I had no good reason to doubt it, though I did wonder why so many of the women that I knew were told they were either Cleopatra, Joan of Ark or a high priestess of Isis in a past life. 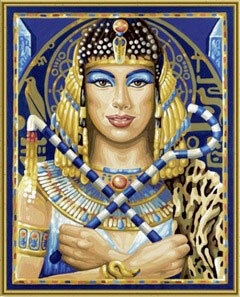 Since reading what the Hindu said, and reflecting back to my psychic reading, it occurred to me that perhaps the spirit of Cleopatra or one of the others were present during my friends readings, and instead of being told that the spirit of Cleopatra was present they were told that they were Cleopatra in a past life. Another possibility is that the psychics used their imaginations because it is good for business to have their clients leave feeling good about themselves. Then the thought struck me. What good is it to have a succession of lives if they can't be remembered? How are people expected to get off the karmic wheel and pay their debt if they don't know what it is? What about all those people who can't afford a past life session? How can they be expected to purify themselves? Perhaps the reason people don't remember their past lives is because they never had any. I couldn't stop pondering this, and then the thought struck me, if reincarnation were true, what would the actual process be? It seemed to me that a spirit would have to hover the Earth in search of a pregnant woman, then come down to the earth-plane, invade that woman's womb and attempt to attach to her fetus in order to be born again into the flesh. My thought is if this were possible, who or what would determine if a woman will give birth to a child that gets an old karma-laden soul or a shiny new one from God? I was feeling disillusioned with reincarnation and thought that perhaps it was another one of man's ideas that would fall by the wayside with time as so many others had in the past, but I needed more evidence to make a final decision. 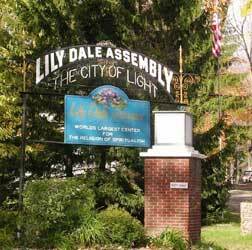 I remembered reading about a spiritualist community in Western New York State, called 'Lily Dale'. 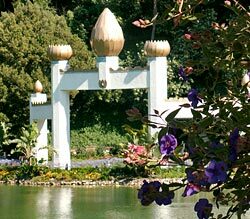 Established in 1879, the largest center of its kind where communication with spirits is demonstrated and healing is offered. After researching it, I decided that visiting Lily Dale could possibly provide me with some insights. Located near Hydesville, New York, the birthplace of Modern Spiritualism in 1848, Lily Dale a community of wooden Victorian buildings and home to fifty registered mediums and healers. Noted guests of the past have been Mae West, Eleanor Roosevelt, Susan B. Anthony, and Harry and Bess Houdini. Prior to my visit, I had corresponded with the president, Reverend Joseph H. Merrill, and shortly after my arrival, he invited me to pay him a visit. As we chatted on the porch of his cottage to my surprise he told me that he, along with others of the association board of directors, were non-reincarnationists. Rev. 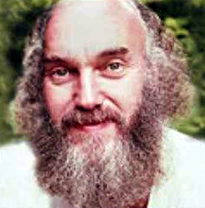 Merrill explained that, because reincarnation cannot be proven, the national association does not officially recognize it. He was so certain of his position that he had written a booklet aptly entitled, 'Do I Have To Return'? In it, he states, "The superimposing of spirits can make us believe we have a familiarity with certain individuals or have lived in a certain place before in a past life.” This made me think back to when I was in Israel at the Roman amphitheater at Caesarea, and had the most overwhelming feeling that I had been there before. So convincing was it, that I had to sit down on the ancient steps and ponder this surprising sensation. I knew that this was my first visit to Israel, and the realization came to me that I had just had a powerful déjà vu. I now believe the feelings that came over me were from a spirit who impressed me with his familiarity of the theatre. He could have been an actor who had played there, or perhaps just a patron of the arts visiting to reminisce the good old days. In his pamphlet, Rev. Merrill also says, "Spirits are continually interacting with the mortal world, child prodigies and geniuses are said to be old souls who have come back in rebirth. Do people not realize that young children are the most susceptible to spirit influence, whether that influencing spirit is a musician, mathematician, poet or writer of prose? How easy it is to forget that spirits are around us at all times, mingling and co-mingling." In the days that followed, I socialized with visitors and residents alike and soon became aware that not everyone at Lily Dale shared Rev. Merrill's views. As I relayed my thoughts about reincarnation I was met with skepticism and even outrage. Then, one afternoon, a very spiritual-looking man from Toronto sought me out and introduced himself to me as a non-reincarnationist. He said, he had researched the subject considerably, and offered me a list of books that supported his position. On it were some unusual titles: The Osaphe Bible, The Urantia Book and Thirty Years Among the Dead. I found my way to the Marion Skidmore library on the Lily Dale grounds and located the books. Though they were all interesting, the one that fascinated me was Thirty Years Among the Dead, written by Dr. Carl A. Wickland, a Chicago physician. Dr. Wickland was a dedicated researcher in the fields of psychic and abnormal psychology; and together with his wife Anna, a medium, for thirty years treated hundreds of patients. Dr. Wickland's book contains several interesting spirit communications on the subject of reincarnation. 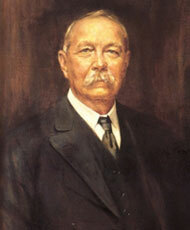 One was from a personal friend, Dr. J. M. Peebles, a U.S. diplomat, physician, author and spiritualist minister. He states, "When I reached the spirit world, I found such glory and happiness and beauty that I now realize this little Earth is a grammar school, not a university or even a high school, it is only the first lesson of life. Why should anyone want to come back again, to be confined in a body? In the spirit world, you are free to travel everywhere, why go back to that prison again?" Dr. Peebles continues, "You can learn in one day here what takes years to learn on Earth. Forget reincarnation, because it is a sandbag around your neck. You will have it so centered on your mind that you will think of nothing else, and you will stay just where you are. You cannot progress because your mind will always revert to the Earth again. You cannot live on Earth more than once, life is progression not retrogression." In another communication of particular interest was a powerful testimonial from Helena Blavatsky. 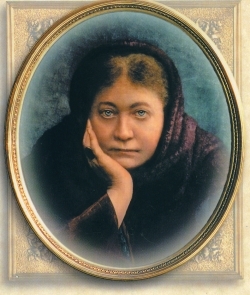 Madame Blavatsky, as she was known, was a spiritualist medium of considerable talent, cofounder of the Theosophical Society, and one of the foremost proponents of reincarnation bringing the concept from the East to the West. She states, "I studied reincarnation in India and thought there was truth and justice in the theory that we come back to learn and grow. I taught the theory and wanted to bring it to the world. I felt that I remembered far back into my past, but I was mistaken. When you become sensitive and can feel the spirits around you, they speak to you by impressions, and their past will be like a panorama. A person feels it and will relive the spirits past, but the mistake is taking this for the memory of past incarnations. I did not know this when I lived on Earth, but when I came to the spirit side of life I learned differently. Once you reach the spirit world, where all is congenial, where all is life, where all is bliss, where there is no jealousy, no envy, where all is one grand harmony, do you think for one moment that you would want to leave that beautiful condition to come back to Earth and be a little baby, restricted in mind and knowing nothing whatever? After reading this I was feeling confident that I had come upon an understanding of reincarnation that was not commonly known. I thought how easy it would have been for the ancient ascetics who authored this theory in their heightened awareness, deep in their meditative states transcending extreme depravation to profoundly experience spirits, and take the impressions as their own, by mistakenly thinking they were experiencing memories of their previous lifetimes. Because the concept of reincarnation is ancient and from exotic lands this only adds to its appeal, and more importantly, reincarnation helps people to make sense of their lives, and it can even be glamorous. This would be fine if it were true and beneficial, but if not, then it is misleading and there would be consequences and that should be considered. The fact that millions or billions of people - mortals and spirits alike - believe in reincarnation and have believed in it since ancient times, in itself, does not necessarily make it true. I was fortunate to be in London during the weekend of 'Mediumship 94' at the Lewisham Theatre. An extravaganza of Britain's finest mediums demonstrating various types of mediumship and healing. 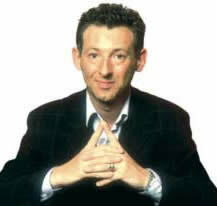 It offered me my first glimpse of a young medium Colin Fry, new on the scene using the stage name 'Lincoln'. I remember well, as he went into trance his voice changed, as did his facial expression, and he gave a fascinating address from his spirit guide Magnus, a former Fleet Street publisher. When finished, there were questions and answers. I recall a woman who asked about reincarnation. Magnus replied, “He has seen spirits waiting to incarnate to the Earth, but had not seen any spirits leave the spirit world for any substantial length of time.” I quickly glanced over at the woman to see her reaction, she was visibly taken aback. Obviously, this was not what she was expecting to hear, however, I was intrigued and left the theatre in high spirits. In Colin Fry's (Lincoln's) book, Inspired of Spirit his guide Magnus states, "Reincarnation implies repetition, it is a hideous distortion of life's fear of change. The insidiousness of reincarnation has been used throughout the centuries to control people by those who have assumed authority. Those in lowly positions have been told, accept this, for you are being punished, and you shall come back on the next occasion as a prince, so tolerate what happens to you because you deserve no better." To my delight London, among other things, was a focal point for spiritual knowledge. 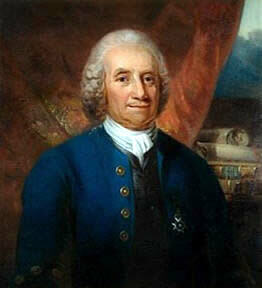 Emanuel Swedenborg, who was one of the spirit communicators to James Padgett had lived there, so I decided to investigate. I found my way to the Swedenborg Society located in Bloomsbury, Central London, and there I found his most well known work, Heaven and Hell. In it, Swedenborg wrote, "We have one life and that we are born into this physical world to prepare us for our eternal life." He explains, "These memories of what is now called, 'past lives' are the memories of those who have gone before us. Very often, we sense these past memories and believe them to be our own. We have one eternal life and we are ourselves throughout eternity." While in London, I discovered that Sir Arthur Conan Doyle, author of the Sherlock Holmes mystery novels, was a Spiritualist and had written an important two volume set entitled, The History of Spiritualism. In it, Sir Arthur wrote, "If reincarnation were true, there must have been millions of spiritualists, who, upon entering the other world, have sought in vain their kindred, children and friends. Has one whisper of such a woe ever reached us from the thousands of communicating spirits? No never!" I thought Sir Arthur was right, how ridiculous it would be to hear a medium say, I'm sorry dear, but your mom can't be here this evening to greet you because she has taken another body and is back on Earth. Neither I, nor anybody I know has ever heard anything like this, and the reason is that they are all there in the spirit world. If reincarnation were true, it would mean no joyous reunion with family and friends, because many of them would not be there, and with numerous identities they would no longer have the same relationships when on the Earth. 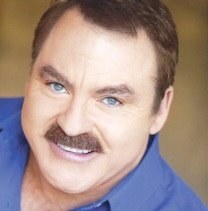 The public's fascination with the supernatural has been greatly enhanced by the American medium, James Van Praagh. His rise in popularity is due to his numerous television appearances and his best-selling book, Talking to Heaven. In it Van Praagh states, "The death experience can be picked up by a sensitive medium, as a clairsentient, I feel the death condition associated with the individual making contact. When a spirit returns to the Earth's atmosphere, its memory recalls the events associated with its time on the physical plane, and for most, the death experience is the most vivid. As an example, if a person passed over from a heart attack, as a clairsentient, I may experience the spirit's presence through a gripping pain across my chest. If someone died of cancer or AIDS, I may sense a wasting away in my body. If someone took pills, I might feel heaviness in my stomach and a sudden drowsiness. If a person shot himself, I may feel a sharp pain in the area where the bullet entered.” This was exactly the case that fateful day at my psychic reading, when the death experience accompanied every past life given me by the psychics. Van Praagh continues, "Spirits with the most traumatic death, say suicide or murder, are subject to reliving that final experience. The spirit sees his or her death over and over again, and it repeats like a bad movie.” This fit perfectly as Van Praagh states, because every past life given to me at my psychic reading had a violent end, in none of my supposed past lives had I died of natural causes. When mortals die, their souls have already achieved the purpose of their incarnation; that is, the individualization of their soul. A soul may become a purified spirit through the exercise of its will power and the expression of remorse and regret in the spirit world, and it is not necessary for the spirit to go back into the flesh for more opportunities to purify. I believe the Earth to be a mere way station on the soul's eternal journey from a formless entity, to an incarnated soul, to a perfected spirit, and on this journey the soul does not retrace its steps or method of existence; it will not go from being a spirit back to being a mortal. I realize that for many people the idea that reincarnation may not be the destiny of their soul could be disappointing and difficult to accept. They may think they will not be able to shed their karma if they cannot return to the Earth to do so. I am convinced to the contrary and believe it is far easier and more merciful to achieve perfection in the spirit world without the encumbrance of a succession of physical embodiments into a physical world that is far from conducive to spiritual progress. I now have complete faith in a great spiritual world filled with billions of spirits progressing toward wonders that for now beyond our conception. A world created for the eternal existence of the human soul, a place that contains the knowledge and wisdom of the ages. If people could only realize the happiness that awaits them they would not be attached to returning to the Earth, but instead, would strive to progress through the spheres of consciousness towards the fountainhead of the love and light of God.